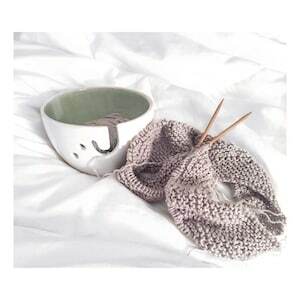 A truly unique yarn bowl for your knitting or crocheting. 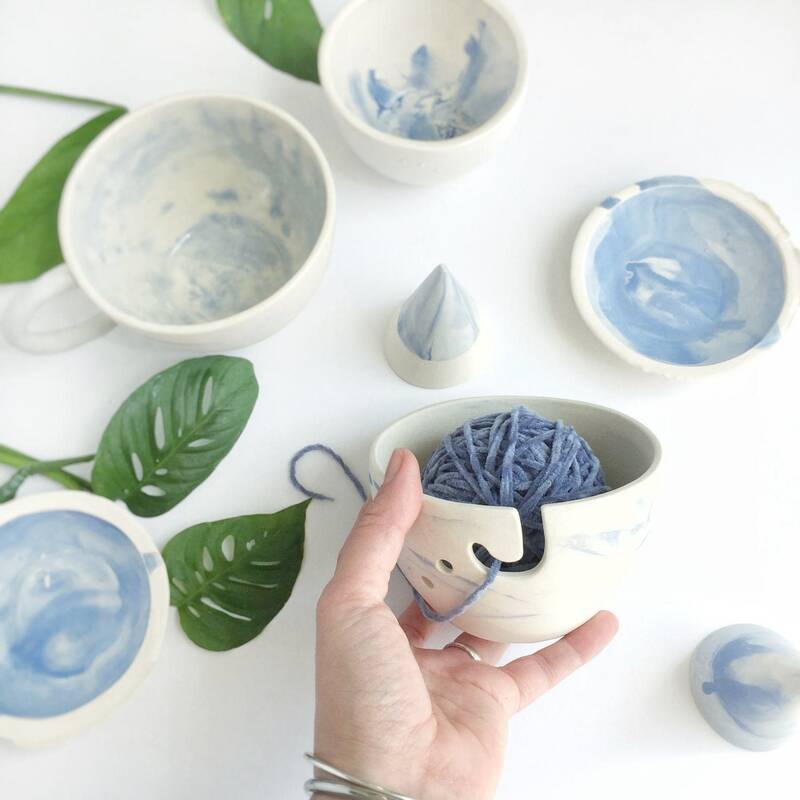 Completely handmade, this chic yarn bowl is embellished by hand by a unique marbling technique. 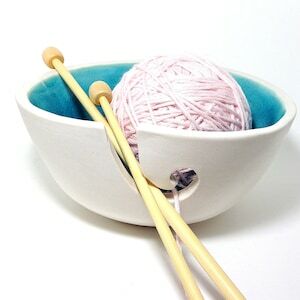 To use, simply wind your yarn into a tight ball, place into bowl, slide yarn through hook and enjoy ^_^. 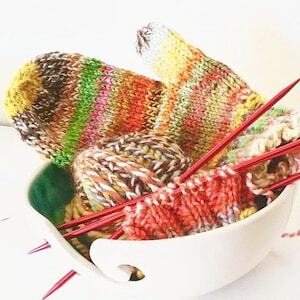 It is a pleasure working with this bowl, it is a very beautiful tool that allows you to be very fast while keeping your yarn clean and nearby. PACKAGING --- All of my pieces are carefully packaged for safe arrival, & insurance is included in the shipping charge.